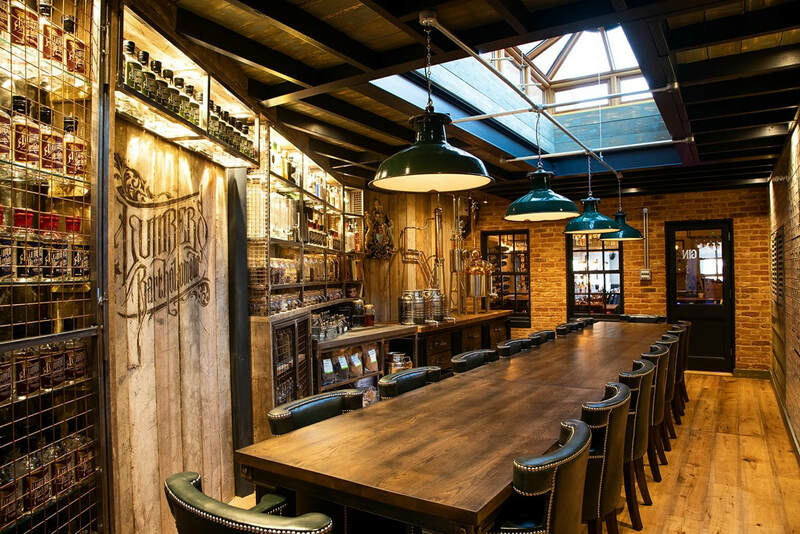 Located at The Newbury gastropub in the centre of Newbury, 137 Distillery opened in December 2018 as the first gin distillery in Newbury's history. With stunning decor and a rustic chic look, the Distillery is the ideal spot for private events or attending gin tasting evenings. Gin tasting evenings include a guided tour of the distillery, an introduction to the history of gin and how gin is made, and a tasting of four different gins. Attendees receive a 10% discount on any purchases of Lumber's Bartholomew Gin on the night. 137 Distillery is a charming venue that is a physical representation of Pete Lumber's passion for gin and distillation. From floor to ceiling the walls are stacked with the Lumber's Bartholomew gin range, special editions, jars of botanicals, and an array of classic and international gins. Find out more about the gins distilled at the 137 Gin Distillery in The Gin Guide's profiles of each gin, including reviews, tasting notes, key information, and recommendations for gins you might also like.